Attention Business Owners: Amazing opportunity for a FREE ticket to a 3-Day Conference with International Speakers valued at $1,497! I am excited to announce this amazing opportunity! I have purchased a ticket for myself for the Habitude Warrior Conference being held in downtown Silver Spring from October 25-27, 2018. The special offer that I registered for includes an Extra Ticket. I have decided to share my Extra Ticket with a worthy business owner. Are you worthy of receiving a FREE ticket to a 3-Day Conference with International Speakers in all ‘TED TALK’ Style valued at $1,497? To determine your worthiness of receiving this amazing opportunity, I have devised a contest. The contest is intended to test your commitment to grow your business and to be of support to my business, because by giving you this gift I’m certainly showing my support for your business. Please read below the necessary eligibility to enter the contest and the contest information. You must be a business owner. You cannot own the following type of business: Network or Multi-level Marketing, Massage Therapy, Reiki or other Energy Healing Practice, Spiritual Advising (i.e. Psychic or Medium), Life or Business Coach, Hypnotherapy, or Acupuncture. You must be able to attend ALL 3 days of the conference and be there for at least half of the day because a $1,497 value should only go to someone who can fully take advantage of it. You must not have already purchased a ticket to the Conference (this rule comes from the Habitude Warrior Conference itself). You must be the FIRST person who meets the above eligibility requirements and completes the Contest. Name the founder of the Habitude Warrior Conference. Name 9 of the 23 speakers scheduled to participate at the Washington, DC Habitude Warrior Conference. What is your #1 goal for the Conference (what you hope to accomplish or get out of it)? Name 5 of the 9 Services offered by Spiritual Spectra (note: Gift Certificates does not count as an answer). 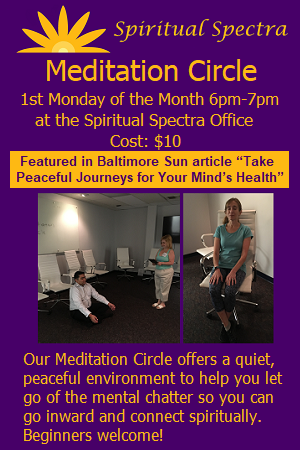 Name 2 of the 5 Solutions offered for businesses as part of the Corporate Wellness Program by Spiritual Spectra. In what way can you be of support to Spiritual Spectra? This entry was posted in Our Musings. Bookmark the permalink.